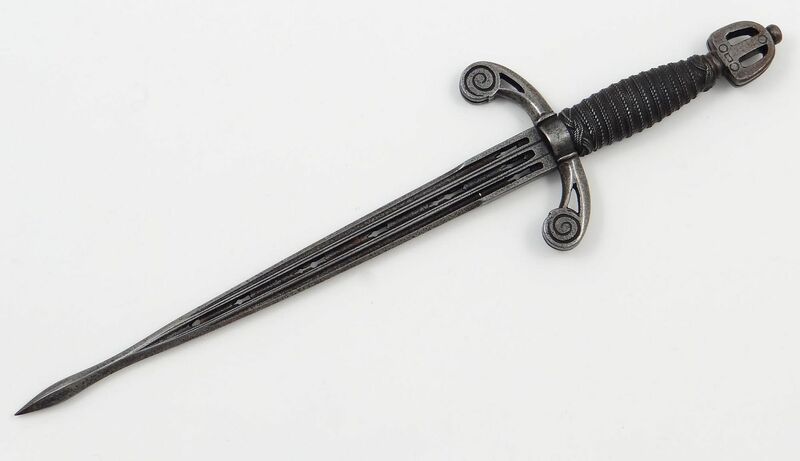 German 17th century left hand dagger which could also serve as armor piercing dagger. 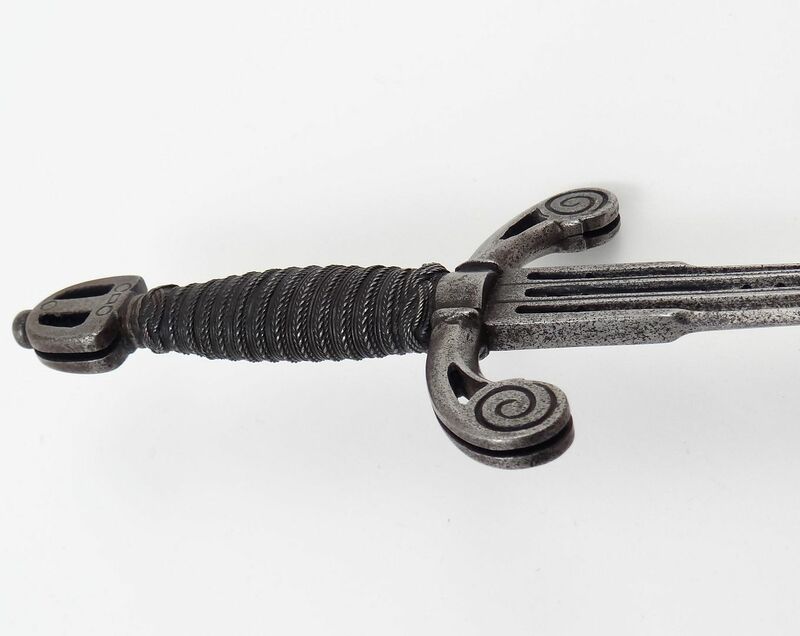 Beautiful strong pierced pointy blade. 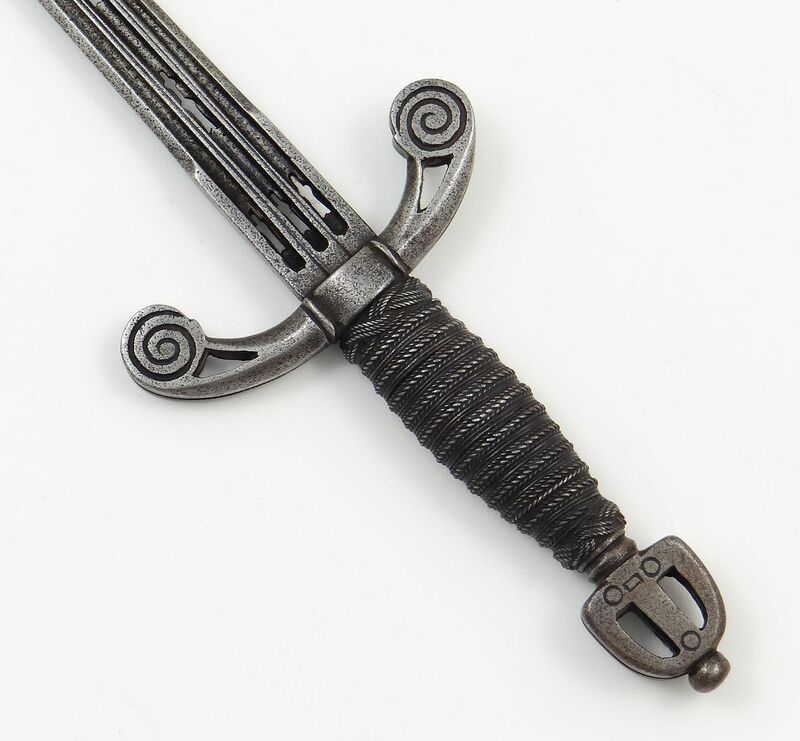 Pommel and quillions are decorated with etching. 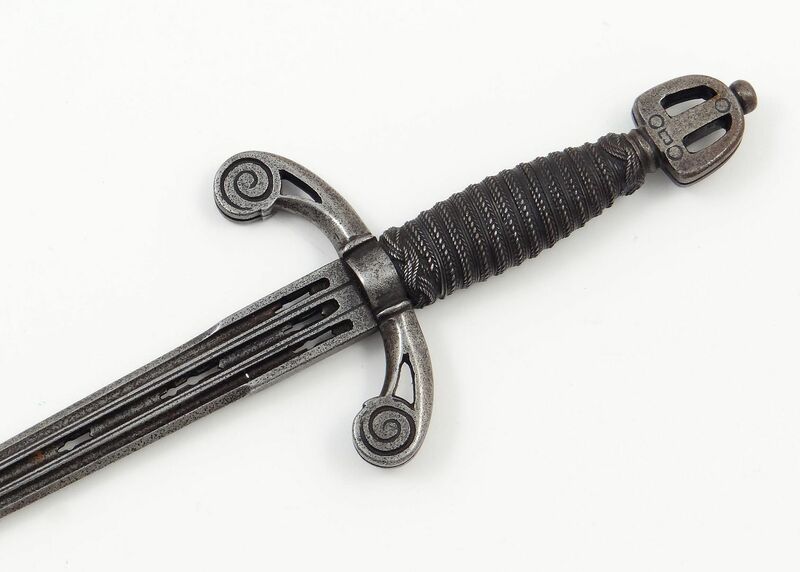 Prior to the 18th century a dagger was often held in the opposite hand from the sword for use in parrying attacks and occasionally to add offence. 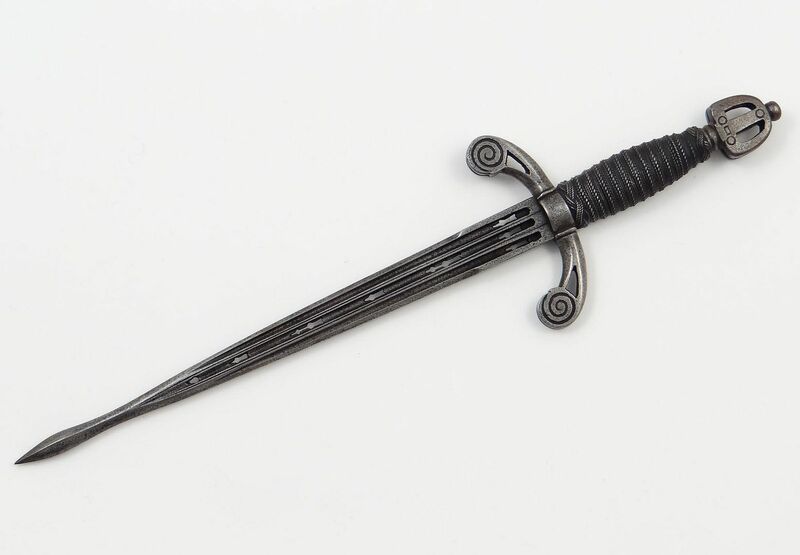 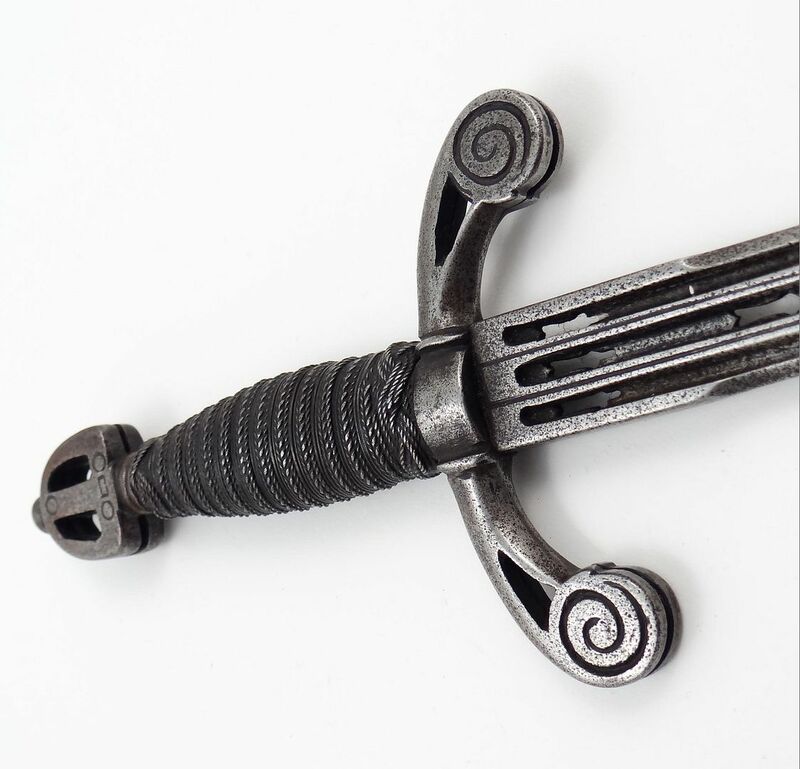 When specially designed for the purpose, the parrying dagger was often referred to as a main-gauche (French for left hand). 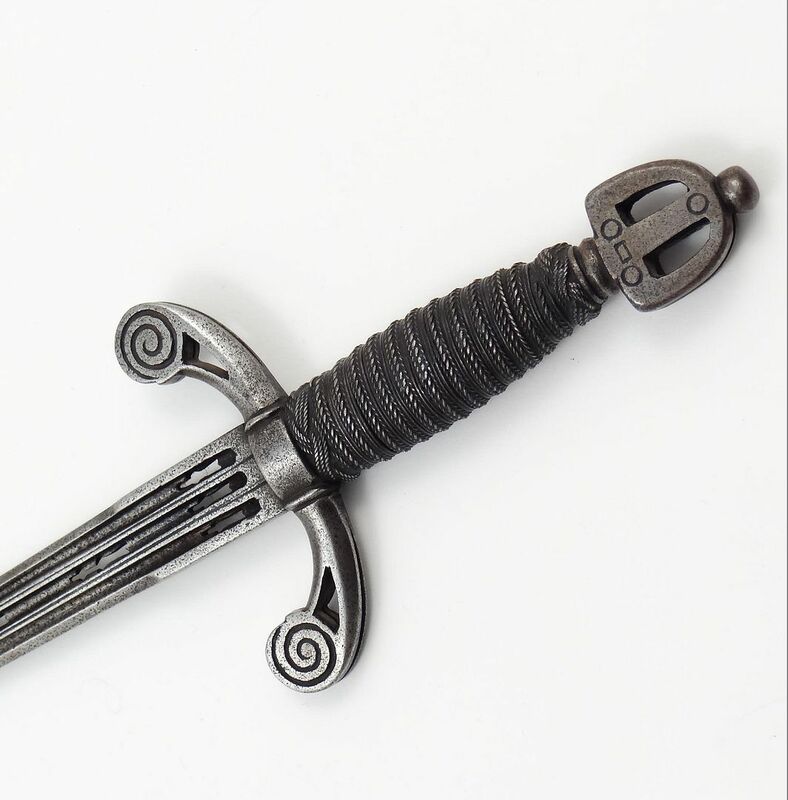 These weapons were made and supplied to the military of some countries but also to the civilian or adventurer or: gallant swordsman, the idea of the quillions was to catch the sword of the opponent and force it down for that split second required to make the fatal thrust with the sword or if the opponent is pinned with the sword momentarily then this dagger could be utilized for the death dealing thrust. 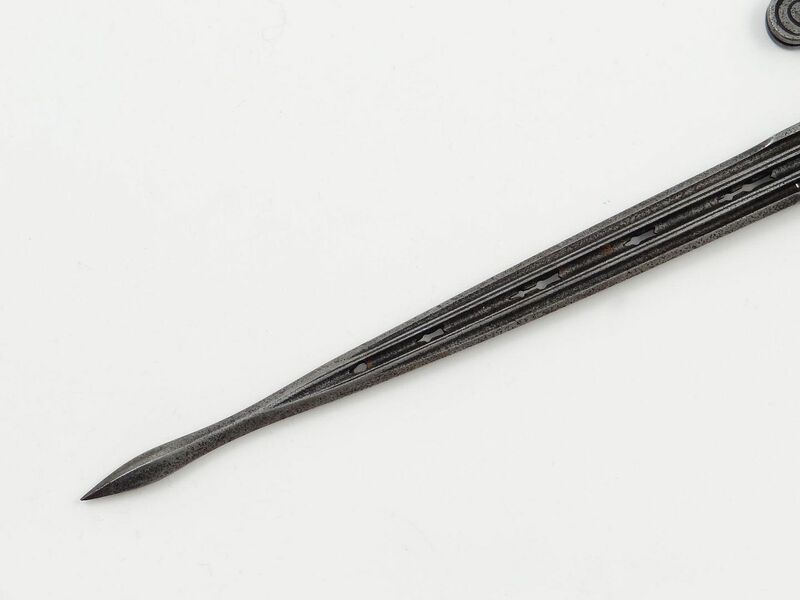 It is of Saxon origin and dates around 1600. 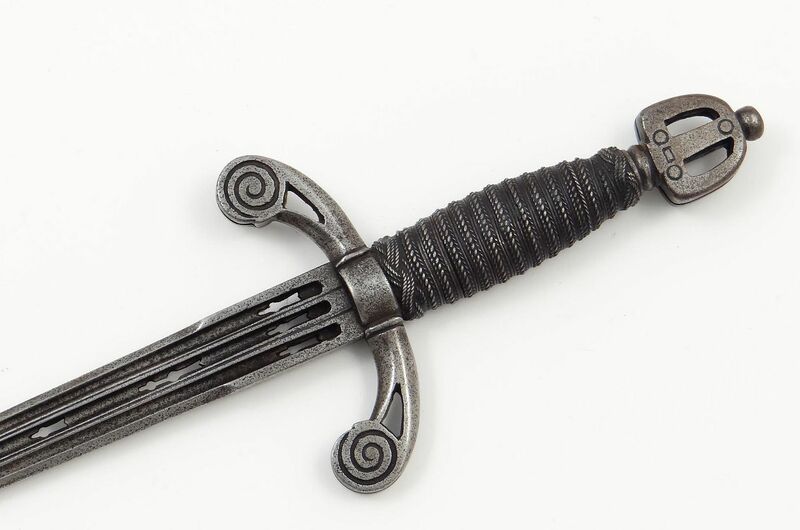 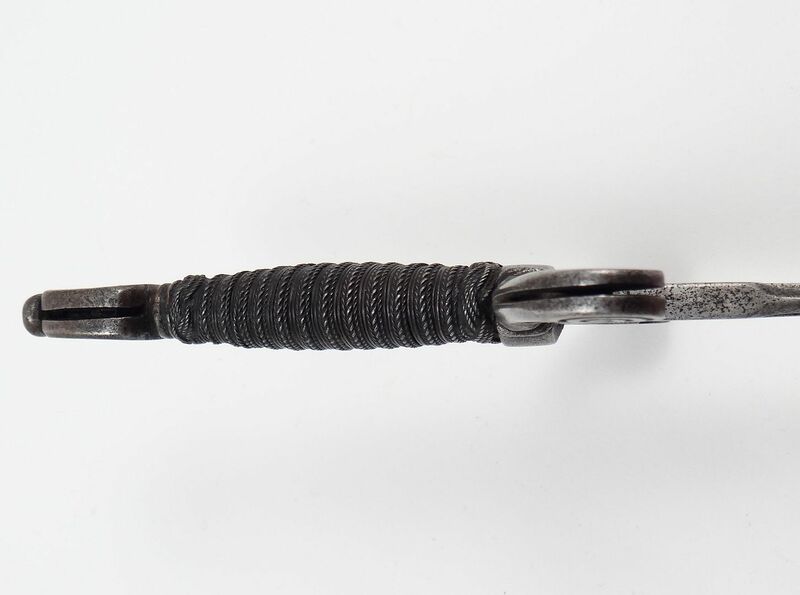 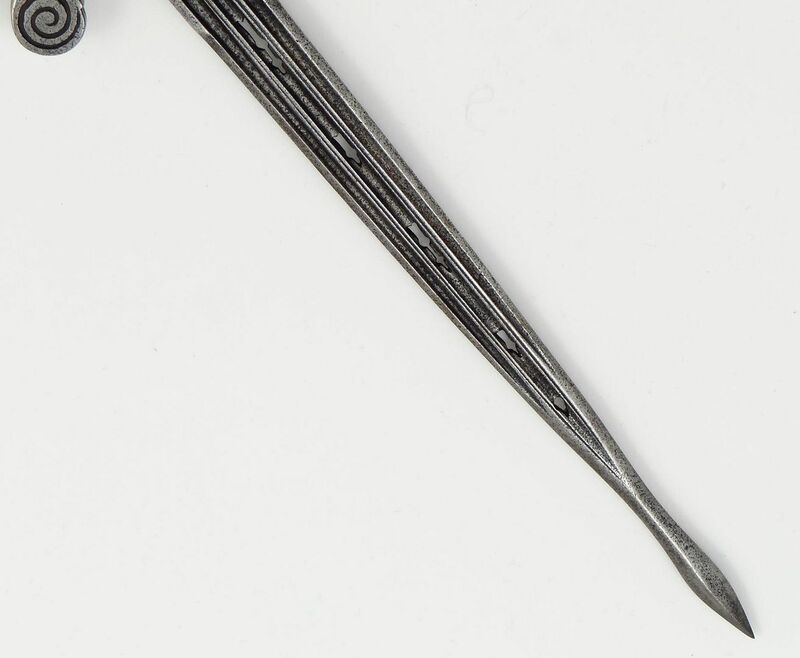 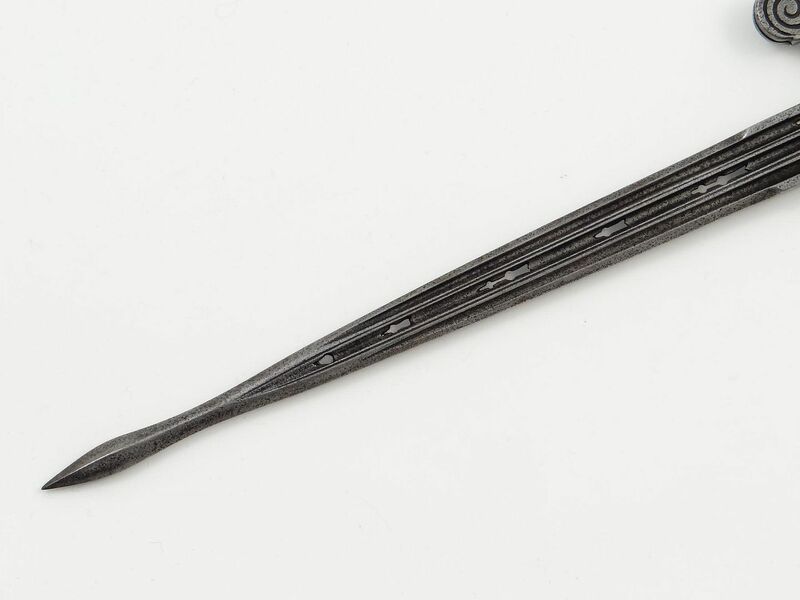 Length is 15.5 inches overall with tight grip wire wrapping and typical Germanic pommel.